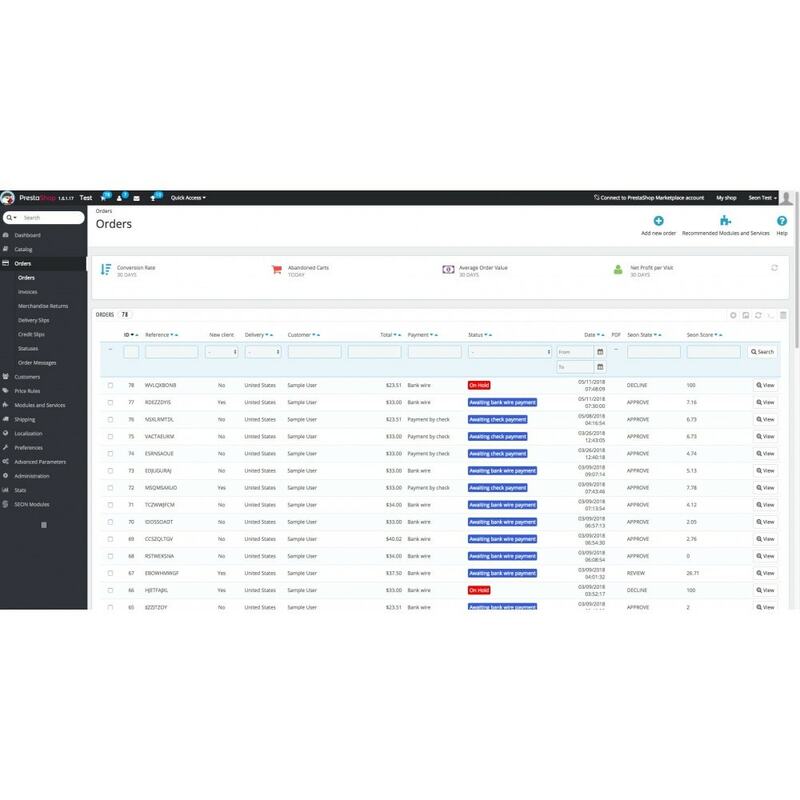 SEON is an API-based fraud management solution helping merchants and payment providers radically reduce fraud loss. This extension connects your Prestashop store to SEON using the Fraud API, which is an end-to-end solution for online fraud prevention. It involves all of our module APIs. 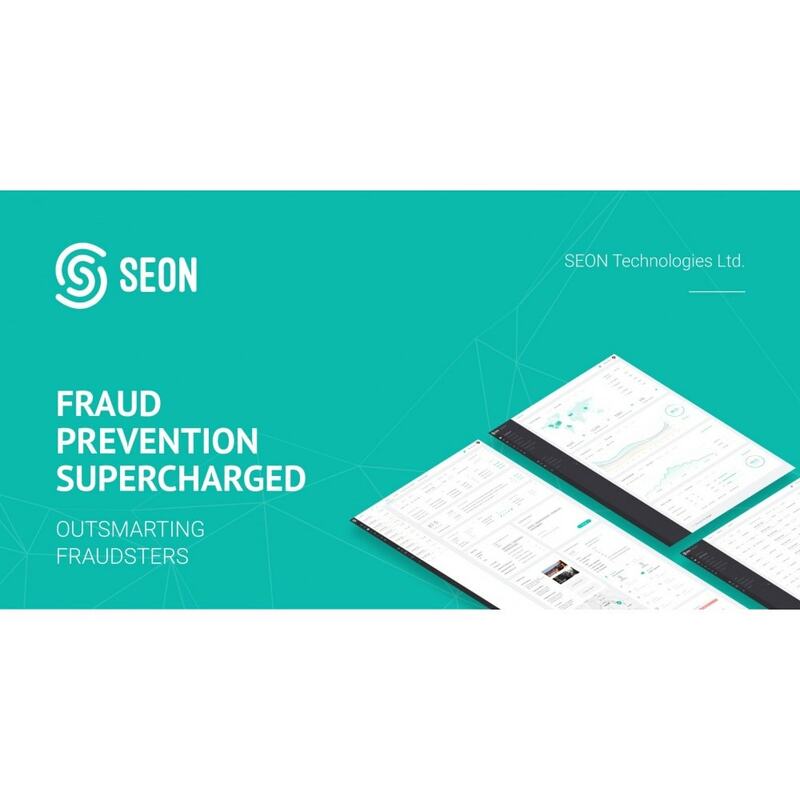 If the SEON extension is enabled every order will be processed by SEON Fraud API, collecting all relevant information about the transaction, the customer and the device that the transaction was made from. Within less than 1 second, you receive a transparent decision whether the transaction was fraudulent or not. 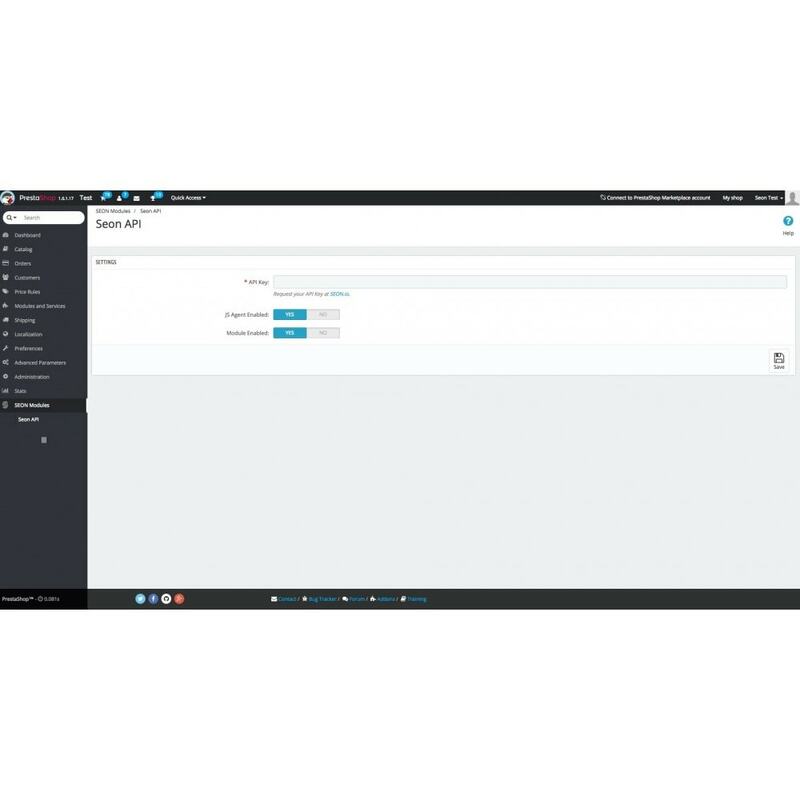 This classification and scoring is automatically integrated into your sales order grid. For information about our APIs, visit our website. Data enrichment: During a transaction the customers' data are enriched by the SEON engine from wide-ranging open and social sources to provide a 360 degree view about the online users and transactions. SEON provides the most accurate and insightful e-mail address investigation that exists on the market by applying deep social media profiling and domain verification tools. Decline fraudulent transactions and grow your sales: Online businesses are faced with fraudulent transactions on a day-to-day basis. Stolen credentials are easily obtained by fraudsters in order to conduct payment fraud. Our platform helps to mitigate the losses due to friendly fraud, stolen credit card purchases or any kind kind of online payments. We make sure that the losses are minimized and the conversion rates are maximized. Prevent abusers from taking advantage of your reward/loyalty programs: Multi-accounting, promo abuse, fake contents and users are major problems across several high risk online industries. Users take advantage of promotions multiple times with numerous accounts and therefore abuse the terms of the merchant. The SEON risk platform enables merchants to easily mitigate the risk of such dishonest activities by monitoring the user-base and activities in real time. 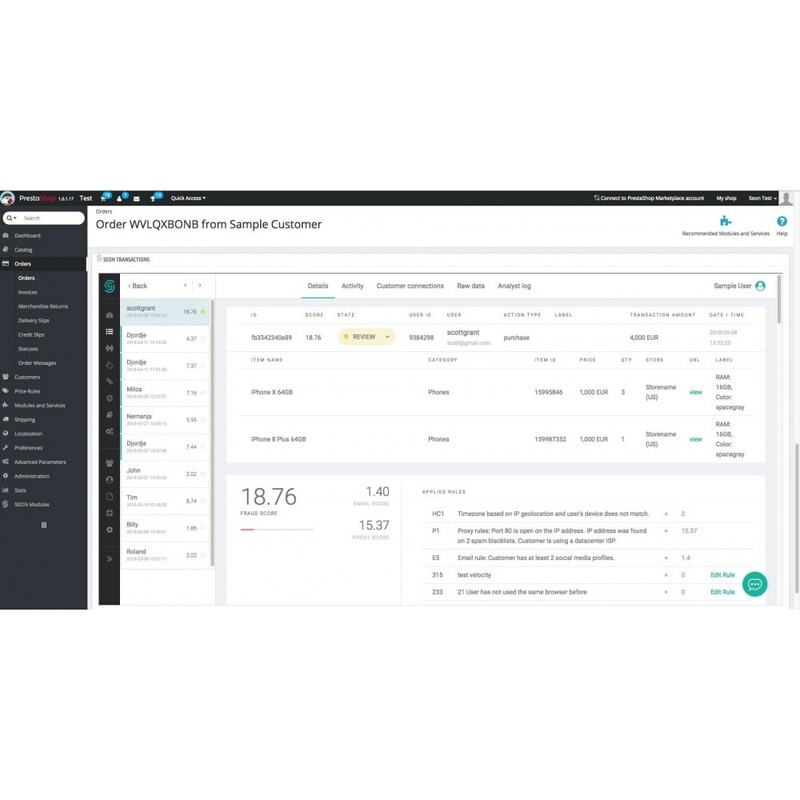 Know every detail about your clients and make better decisions: The SEON risk engine enables online businesses to gain a better overview of the user-base. Our modules can provide useful additional information to the identity profile of a client. The different social media presences, device, phone number and IP related information can help make better business related decision throughout customer identification. Your first step is to obtain a license key to get access to our APIs. Please request a demo on our website. To install Seon API, place the folder in your PrestaShop/modules folder. Insert your license key and enable the SEON plugin under SEON Modules / Seon API (To turn on device fingerprinting, enable the JS Agent). After the installation in Sales Order list you will find two new columns: Seon score and Seon state. To view your transactions on SEON’s administrator panel, go to Order details / Seon Transactions.